It’s Easter. As Middle Easterns we don’t have those fancy cakes and pastel colored decorations. 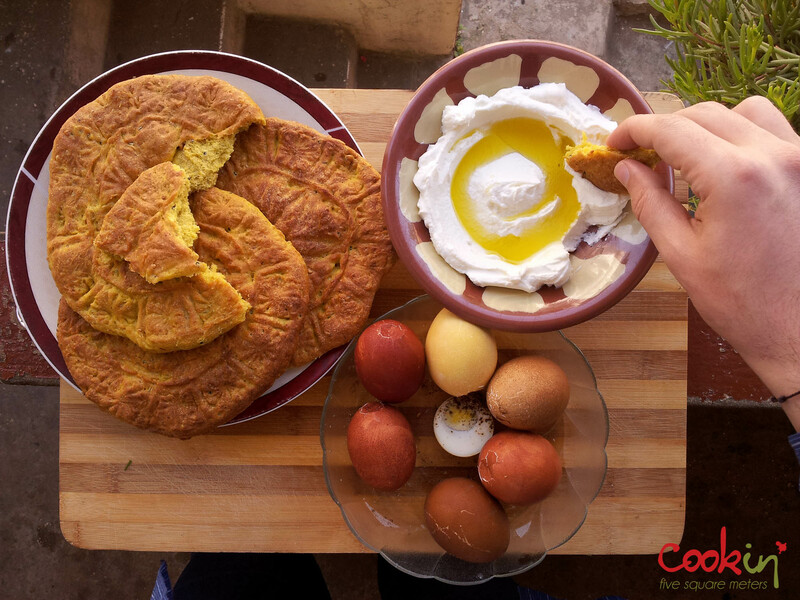 We do however have recipes we only make at this time of the year like Maamoul, Kaak Asfar and colored eggs. Although everyone makes Maamoul (or buys them) and colored eggs, not everyone knows about Kaak Asfar. Being the 2nd generation of a family that came from Palestine back in 1948, got the Lebanese nationality and lived and worked among Lebanese, some habits, traditions and rituals survived with time. The accent? Not so much. I was mocked by “fellow Palestinians” who were born and raised in Lebanon for not having the Lebanese accent as a kid, being born and raised in UAE and got back to Lebanon at the ago of 10. Go figure. Kaak Asfar and Maamoul decorating are among the surviving traditions that the modern world is starting to forget about. We’re getting lazier with each generation and starting to ditch and devalue these homemade specialities. 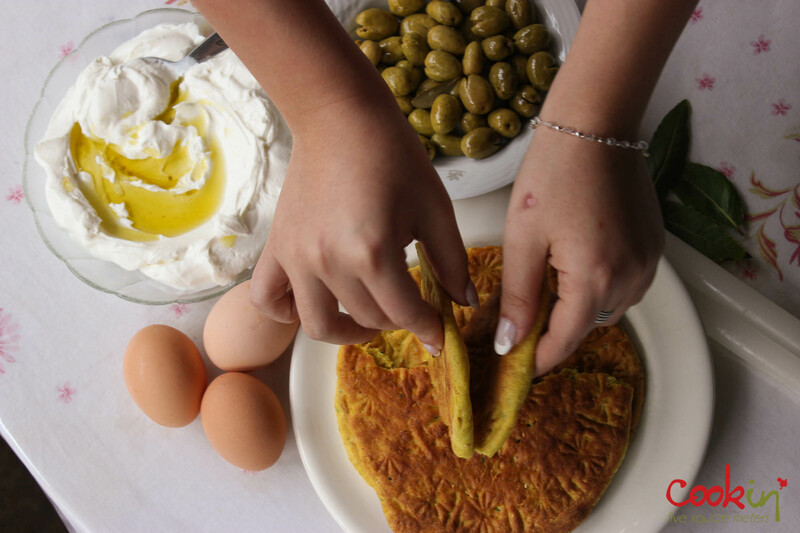 Kaak Asfar is not only a delicacy to fill our tummies; it comes with a load of biblical symbols. My grandma used to say the shape resembles the boulder that covered the tomb where Jesus was buried. Mom says it’s flat bread related to passover when God asked his people to make bread for their journey but they had to leave before the dough rose. That made hard flat bread. Mom says this might be why we make this bread. Whichever the story is, it is still a delicious baked good to try. Our yearly tradition is to go to Easter mass at 5 am, the “Hajmeh”, and then come back home to have the holy trinity for breakfast. The holy trinity on this day is Kaak Asfar, boiled colored eggs and Labneh. It can’t get any better. We used to finish mass and walk to my grandmother’s house and have breakfast before going on with the day. Not for the past 3 years though. May her soul rest in peace. 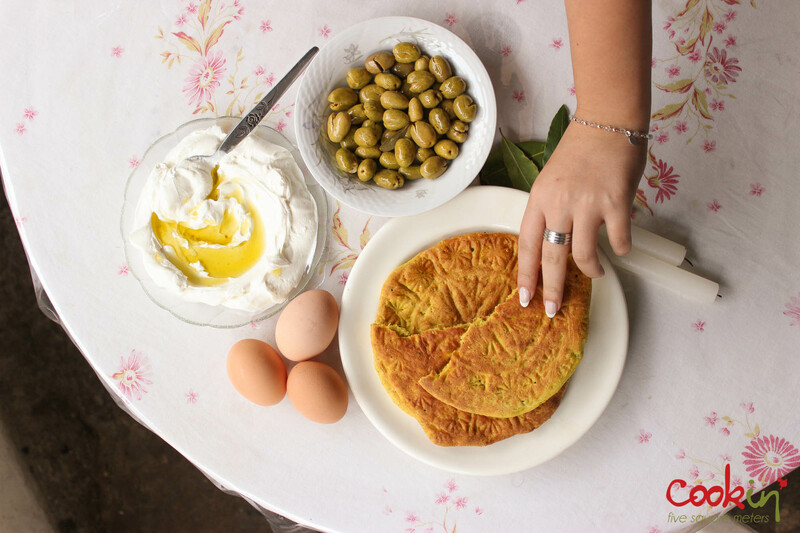 During the Easter week, the whole neighborhood smells of anise, mahlab, turmeric, rose and orange blossom water making up the sweet aromas of fresh baking of maamoul and Kaak Asfar. Mom doesn’t bake this at home. Many women in the neighborhood don’t. Because it needs high temperatures to be baked properly, they tend to take appointments at the nearby bakers to use their large ovens. Mom prepares the dough and balls it before taking it to the baker. There, she rolls them, covers them in olive oil and uses a mould to imprint one side of the bread. These moulds have beautiful, mostly geometric, patterns. The dough is baked and then brushed with more olive oil to keep them soft. Then it goes into our hungry tummies. Pieces of this bread are dipped in creamy labneh or used to hold the diced boiled eggs sprinkled with salt and allspice and eaten with lots of bitter green olives. Mom makes this every year, and none of my friends who visit us leave empty handed, leaving us with a few only to start craving for next year’s batch. Maamoul, done our way, will be the topic of the next post. Repeat with the whole batch. Serve warm with labneh and boiled eggs. 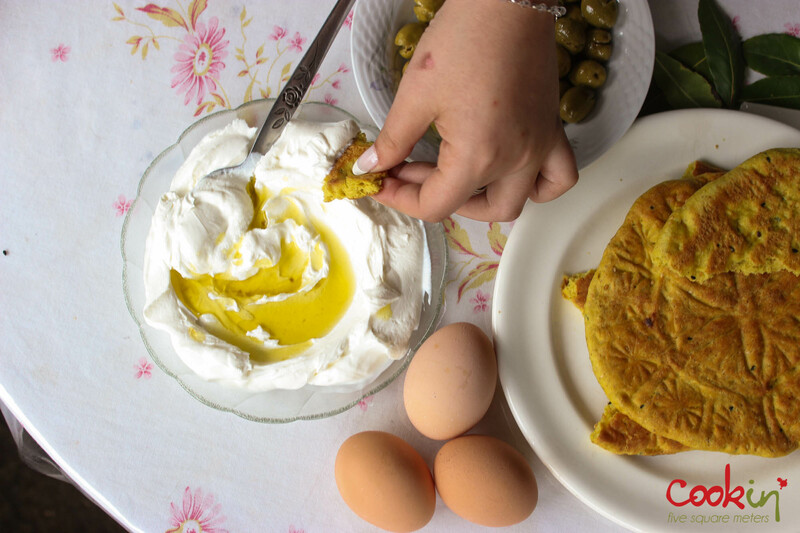 This entry was posted in Easter, holidays, Lebanese, Personal, Recipe and tagged asfar, Bread, breakfast, camp, church, culture, dbayeh, Easter, eggs, food, holiday, kaak, labneh, lebanon, palestine, palestinian, recipe, tradition, turmeric bread, yellow, yellow bread. Bookmark the permalink. Happy Easter. 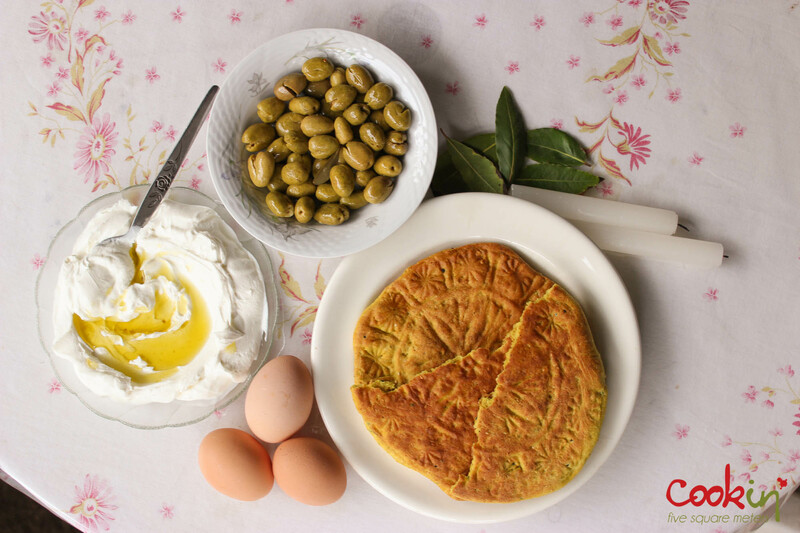 Lovely story, pictures, and recipe (really looking forward to the maamoul too). I’ve never had Kaak asfar, but now I am really craving it! This is wonderful! It reminds me of a kaak I was offered recently by Um Elias, minus the turmeric love all these flavors. Just had almost half the korban this morning; the baker in the Deir el-Qamar area decided to make them jumbo size. Love the post, and the traditions. I have heard a bit about Palestinian ma’amoul from Kamal Mouzawak, can’t wait for your upcoming post! I came across (again) you post about Korban while searching for Kaak Asfar online. I guess the print looked similar for Google. I love the traditional, sort of dry fragrant Korban. I get good ones from Khenchara. Is it the bread you’ve had the same bread done without turmeric? It wouldn’t look yellow. My house is still full of all kind of kaak and maamoul after Easter, nevertheless I feel trying your recipe. Thank you for sharing it! Same situation here, can’t make any dessert until maamoul is done. Please tell me how to find one of those molds to make this beautiful bread. I hope they come in handy. Thank you for the reply. I have the large mold that is shown on the left of their website. However, I am looking for one that is more intricate, like the one on your website. Do you know of a source there in Lebanon? If you find one, I can send payment through Paypal or MoneyGram. Sorry to be such a bother! Thank you. I live in the USA. Thanks for the reply. it would be more private.